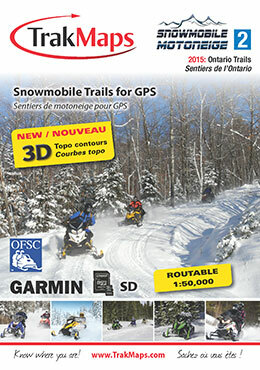 The other day when the mail arrived I opened the paper to see advertisements for the holiday season and thought to myself what are some of the accessories that most snowmobilers want but do not have, would rarely buy for themselves but would need, and would happily accept as a gift without hesitation or confusion. Here is the list of 10 I came up with. Over 32,000km of OFSC trails are included—TrakMaps GPS is the latest and most accurate trail data available for Ontario. The GPS map is routable, has 3D display with contour lines, over 20,000 Points of Interest such as clubhouses, restaurants and gas stations. Let’s face it, for those of us that love to ride in the deep snow off of the maintained trail the time will come when we eventually get stuck. You can avoid spending hours digging by having a snowbunje. The SnowBunje line maximizes your pulling strength making it easier to get the snowmobile unstuck. This device works best with two people, so if you have a friend that always helps you out this may be the perfect gift for them. With backcountry snowmobiling becoming more and more popular in Ontario this lightweight attachment will allow the slope goer to ride easily with their board or skis. Not only will this easy to use product provide the rider the ability to ride to new locations to board but it also makes a great accessory for those of us who want to ride the #OntarioSnowTrails to our favourite ski resort. 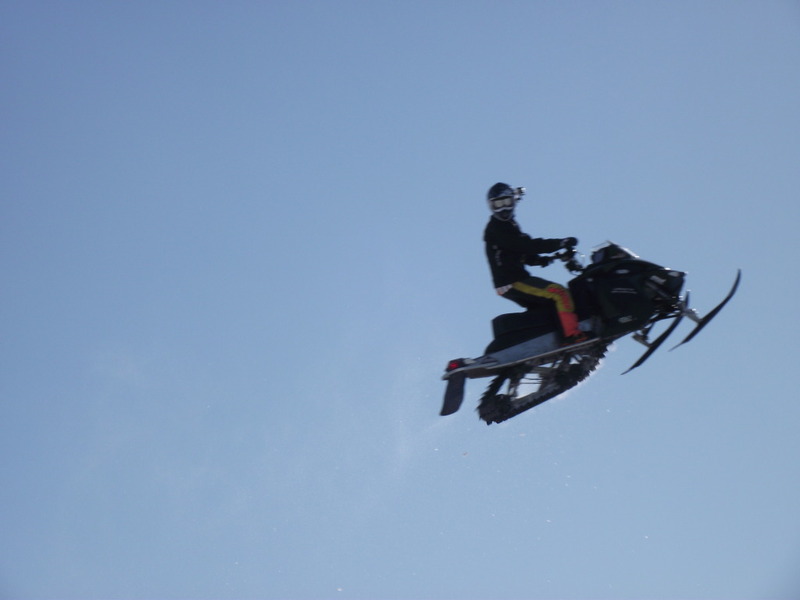 Antoine Mountain, Horseshoe Valley, Snow Valley, Mount St Louis Moonstone, Kamiscotia Ski Resort, Searchmont and many more are all accessible by OFSC snowmobile trail. Most snowmobilers invest in a good set of gloves and in many cases even carry a spare set, however when the temp drops to darn cold nothing works better than a set of handlebar muffs to get you through. These come in handy on cold mornings as well as late returns or even to lend to a friend with cold hands. This compact tool will keep your batteries in tip top shape throughout the year. The Battery Tender is a great failsafe for extra cold nights or during the off season to keep your battery fully charged. 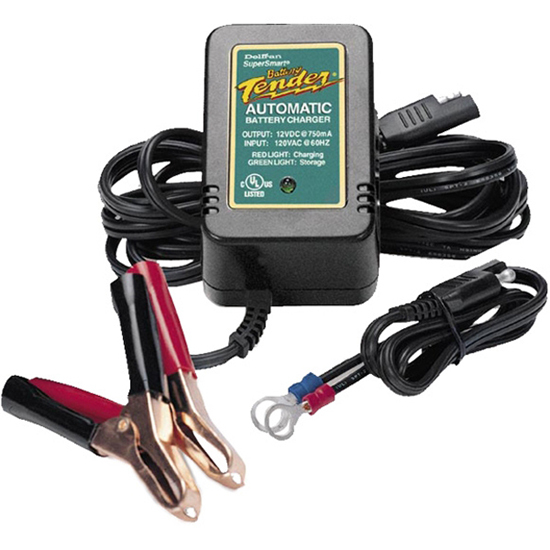 It can be used on your snowmobile, ATV, lawn mower, motorcycle, car, boat and many more things that utilize batteries. 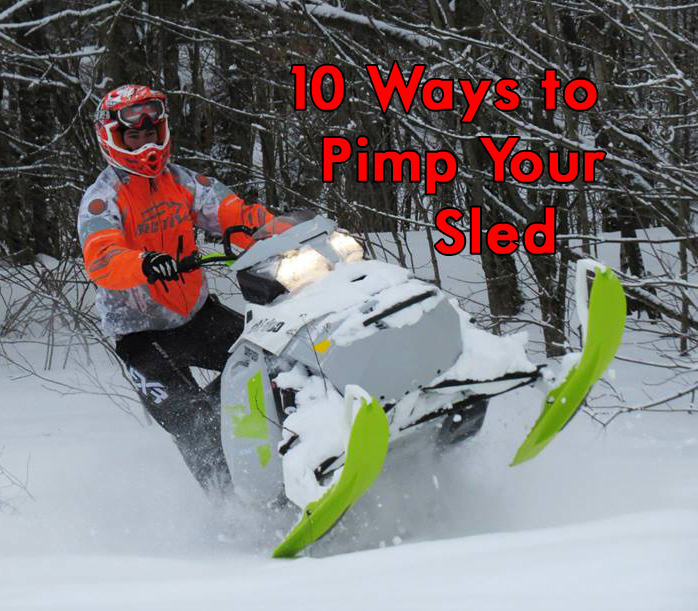 Snowmobilers invest big bucks buying the best pants, jackets, gloves and boots but often opt for that well-used sled brand t-shirt and sweat pants under their gear. To help keep you warm and dry proper layering is a must. Purchasing a good set of Under Armour Sports Gear with an additional layer of fleece is the way to go! If your household doesn’t have one of these nifty little HD camera’s this may be the excuse to get one. 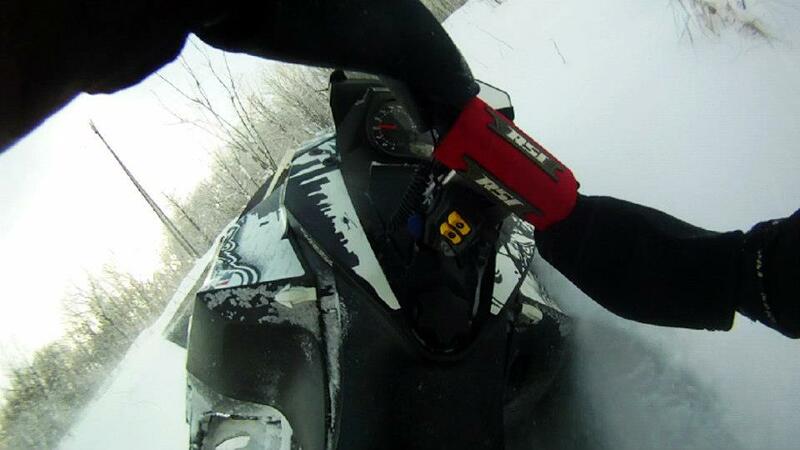 The GoPro is not only great for motorsports such as snowmobiling it can also be used to record many of life’s memories. It’s useful in the cold / snow as well as in the summertime, in the lake or fishing. Once you have your hands on a GoPro check out the Top 10 GoPro tips article here. The OFSC iSnowMobile App allows you to conveniently check the status of trail conditions from anywhere there is cell data service. 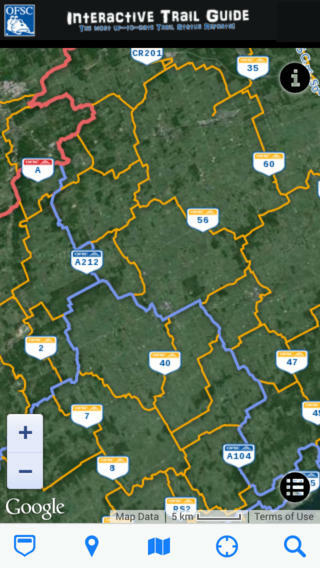 The app is updated directly through the OFSC Interactive Trail Guide and delivers the latest trail reports in Ontario. It’s a great tool for planning your route or making a last minute route change over lunch. Best of all it’s the cheapest on the list at only $2.99. Snowmobilers are active outdoor enthusiasts and as such need fuel for both their sleds and belly’s, so why not cook while you ride!? 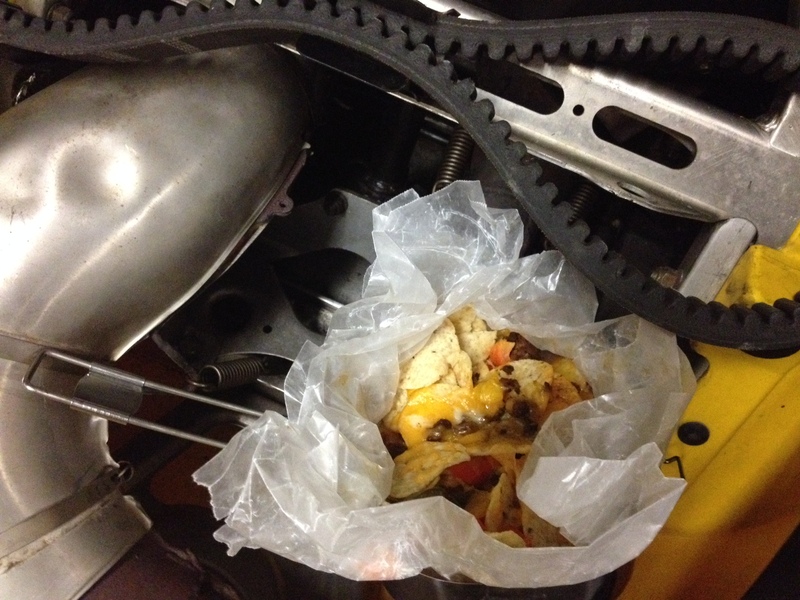 Think about exchanging the smell of two stroke with mouthwatering goodness. From Hot Pockets to Mac and Cheese this stainless steel cooker is sure to please. The Muff Pot is great for a snack on the trail or carrying your leftovers from lunch leaving you with a hot snack for the drive home. Try a new riding destination this year, go out of the norm and enjoy the widespread and lengthy winter we are going to have. 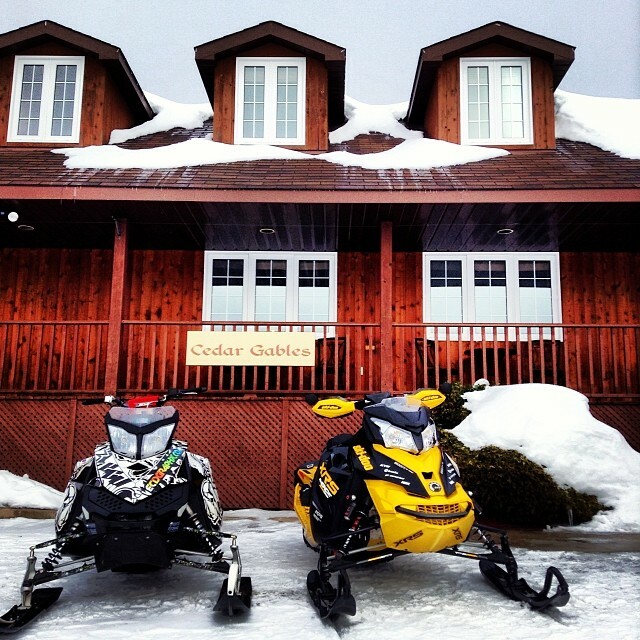 If you usually just ride day trips to and from the trail head or cottage, consider either snowmobiling to or trailering to a lodge or resort. Go and explore that new lookout, eat great food in that trail side restaurant and ride routes that are better than you had ever imagined. A great experience has a higher value than any of the above. Organizing & Booking this will be an unexpected but welcomed accessory to this winters riding. Best off all the memories will last forever! Here’s a list of 10 great places to adventure to! Here’s to hoping at least one of the 10 above lands under your tree this month!